Easy CD-DA Extractor for Windows XP allows you to download information from CDDV media. Multifunctional converter recognizes many audio formats, supports the function of normalizing sound. The program includes the function of the ripper, can handle media that for one reason or another were damaged. It is possible to read information on discs protected by any type of algorithm. 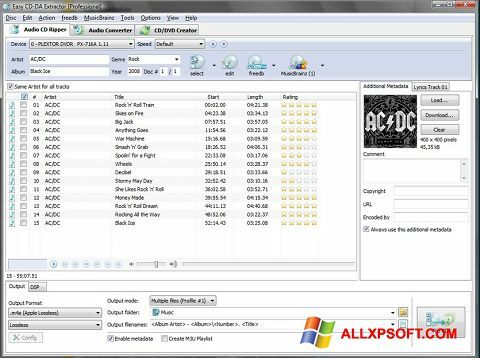 You can free download Easy CD-DA Extractor official latest version for Windows XP in English.